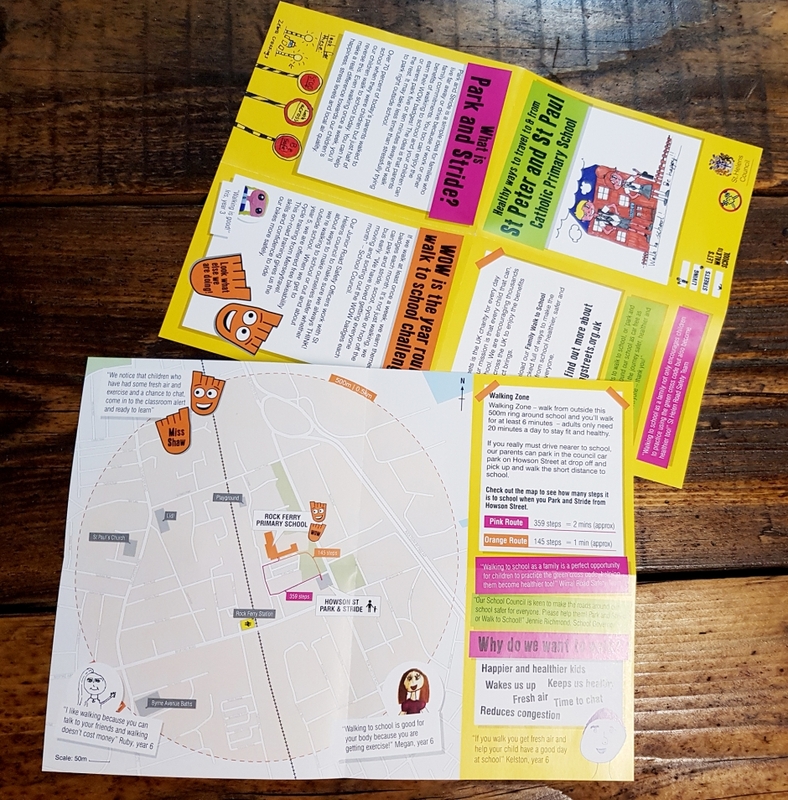 We were asked by Jane from Living Streets to produce 2 walking maps for the Living Streets Park and Stride scheme that runs UK wide, and for them to arrive just in time for Walk to School week – which was the 21st – 25th May. It’s part of WOW, their year round walk to school challenge. 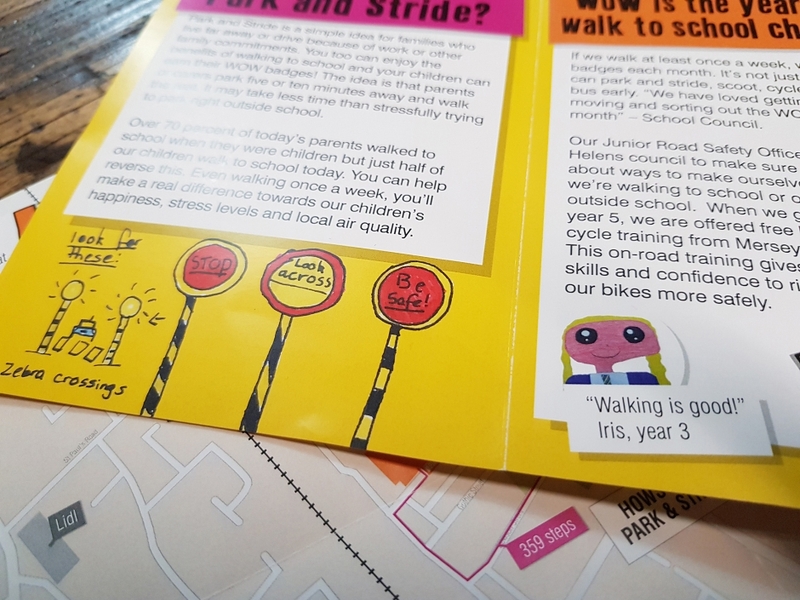 Its aim is to create long term behaviour change using collectable badges for each child that walks, scoots, cycles or uses Park and Stride. 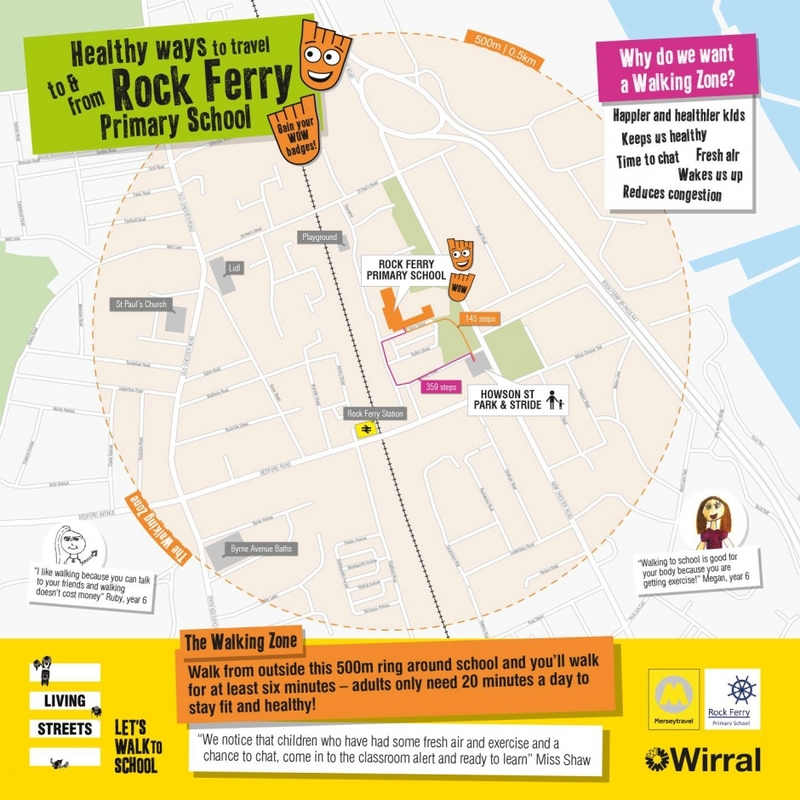 We always enjoy an opportunity to work on campaigns like this as it’s something close to our hearts… and we walk to work! 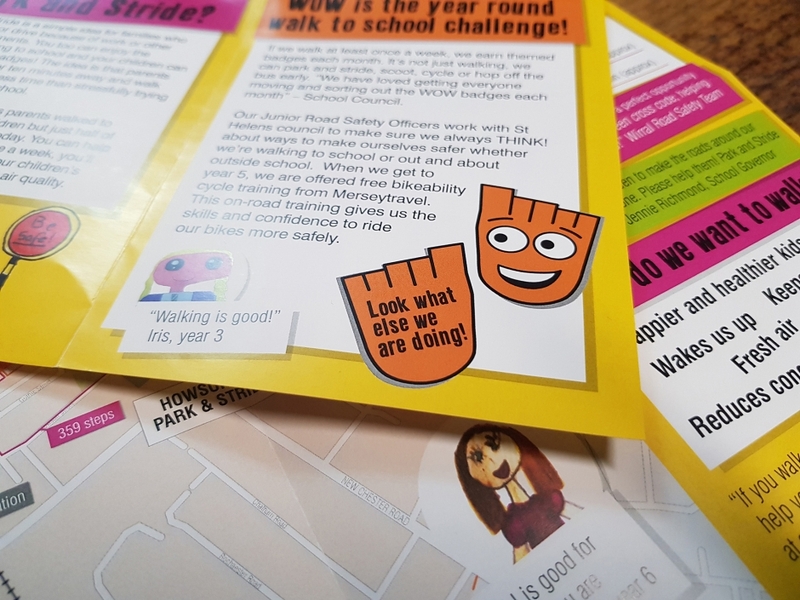 So, on that basis, Jane approached us to work with two local primary schools to create a simple, bespoke, A4 pocket-sized walking guide for each schools Park & Stride. 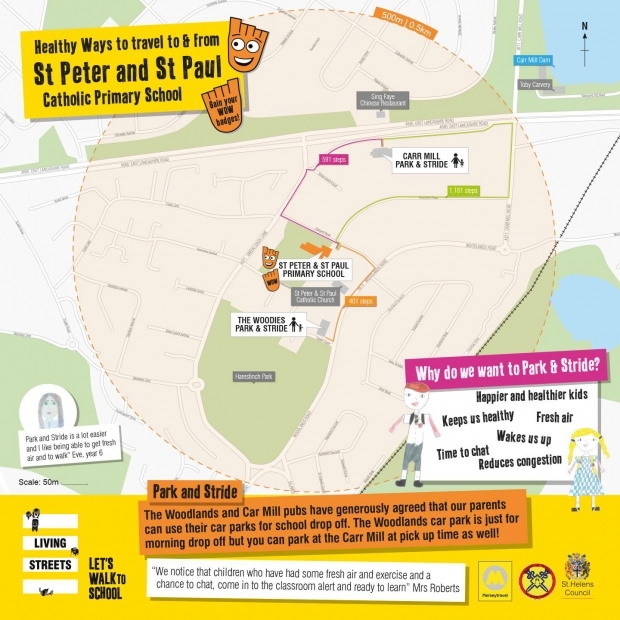 Park & Stride is Living Streets initiative to encourage people to park away from the school and walk to the gate. Each map had to be created carefully to show important local landmarks and the designated parking areas for Park & Stride users to use. 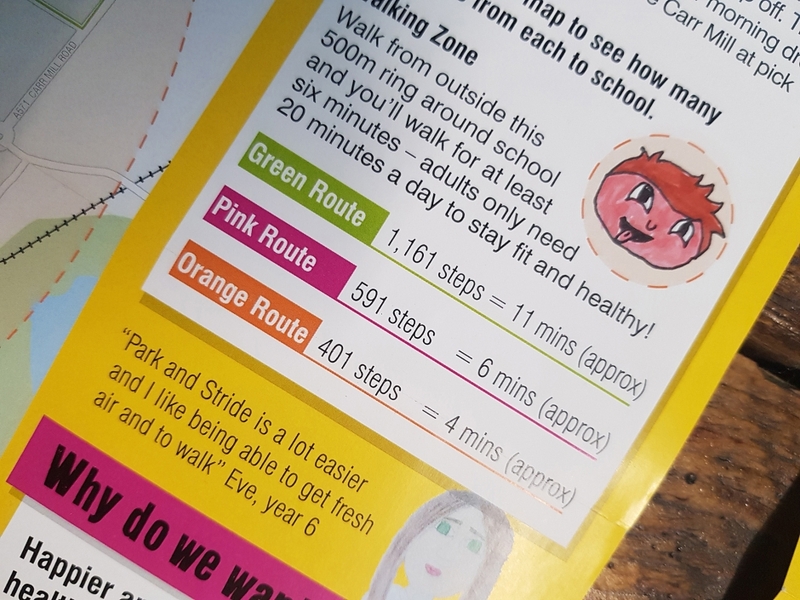 It also had to show a 500m ring around the school (which is roughly half a mile) and suggested walking routes from the official Park & Stride car parks, with the approximate number of steps per route. 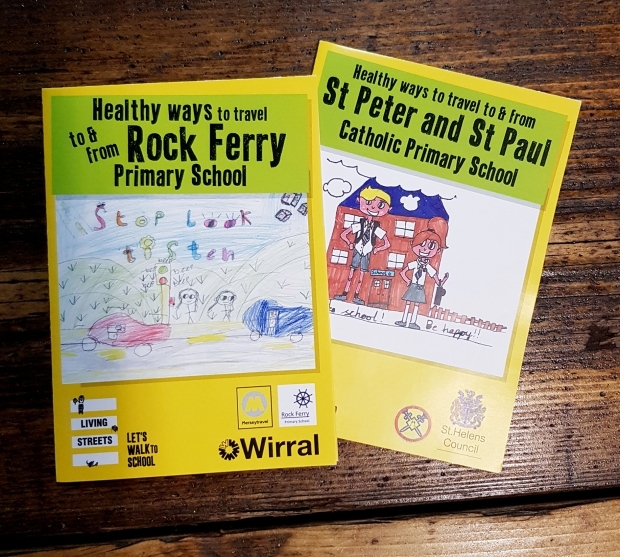 Eye-catchingly branded with the striking Living Streets brand and including some of the drawings and sketches that the children in each school have done, they came together really well. We produced these and banners to hang on the railings outside each school, and they were delighted to receive them. 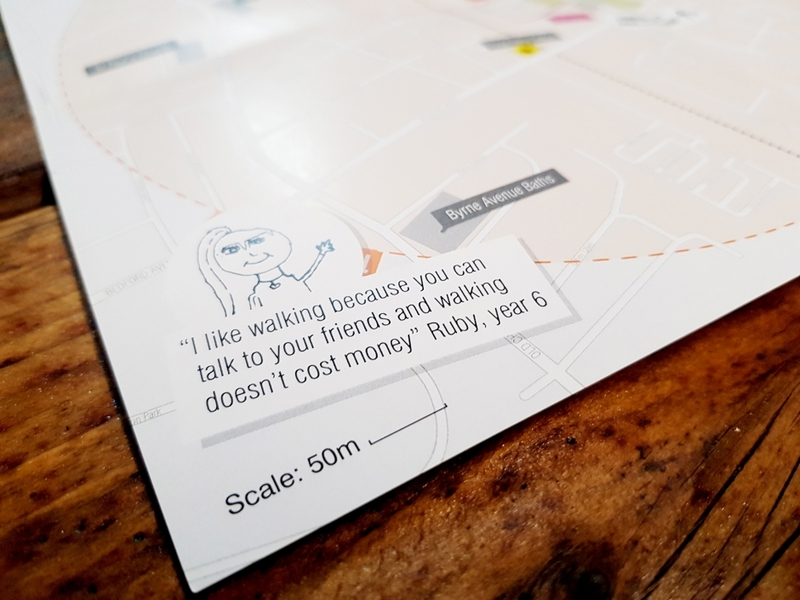 Living Streets were extremely pleased and want to use them as an example of best practice! Always good to hear!